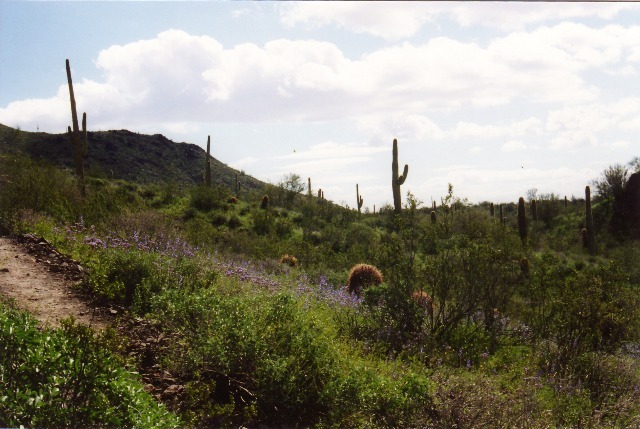 Everything seems to be in bloom and our desert is so beautiful now, I decided to share a bit of it through some pictures I took when my husband and I went on a hike to Picacho Peak, a little north of Tucson. This was a number of years ago, during another fantastic wildflower season, and since I never seem to remember to take the camera when I’m out (not that I’ve been out all that much!) I thought I’d share these, since they are similar. 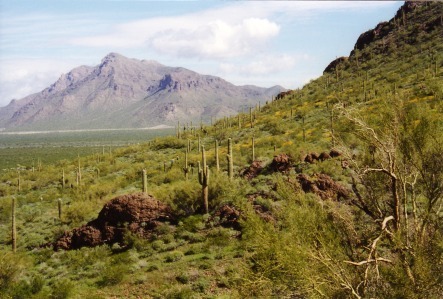 Also, they are of places we can no longer visit, since, given the state of Arizona’s economy, they have closed the park to visitors. 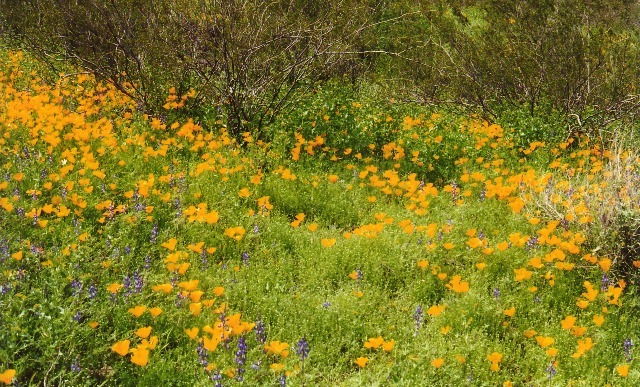 This entry was posted in Arizona, Photos and tagged Arizona, Photos, wildflowers on April 12, 2010 by Karen Hancock. There is nothing more beautiful than Spring!